VeganMoFo: Vegan Brunch and More! | Wannabe A Vegan! Going From Vegetarian to Vegan…really, no more cheese? VeganMoFo: Vegan Brunch and More! I can’t think of a better way to start the weekend than to prepare a delicious brunch! This one is brought to you by the fantastic Vegan Brunch cookbook. Seriously, if you don’t have it yet, what are you waiting for! 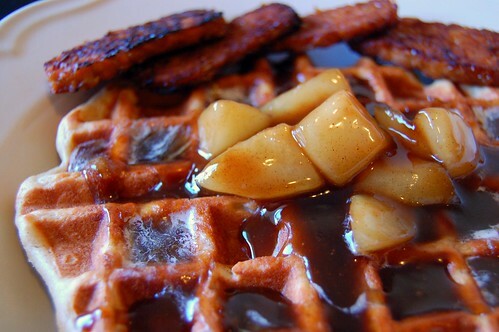 Tempeh bacon, peanut butter waffles, and pears simmered in brown sugar, Earth Balance, cinnamon, and allspice! I must say that peanut butter and pears go great together. 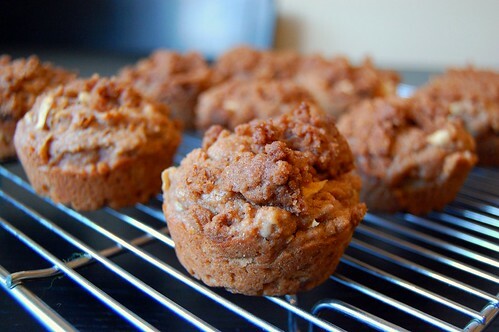 The brown sugar topping on these is sooo good! 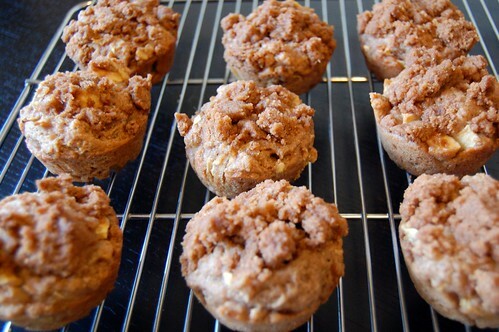 These muffins are chock full of apples and are great with a strong cup of coffee! I don’t have that book yet. I’m waiting for Santa. What an awesome brunch it looks fab. I love that recipe from VWAV, I think I made it like 10 times the first time I got the book. PB and pears?! Sounds tasty… I’ll have to give it a go sometime. I am participating in VeganMoFo 2009 which basically means that I will be posting a minimum of 5x a week for the month of October. I hope you enjoy! Larry on 12 Days of Daiya! Jane on VeganMoFo: Happy Halloween! Natalie Co. on 12 Days of Daiya! Sailu on VeganMofo: Corn Salad! Robbie Vitrano on 12 Days of Daiya!